The first thing that comes to mind when you hear “Madame Jeanette” is not likely one of the hotter chili peppers on the planet. But that’s what it is, ranking right up there with its cousin the habanero pepper in overall heat. Though where the habanero – and its cousin the Scotch bonnet – layer in a sweet tropical flavor, the Madame Jeanette (a.k.a. Suriname pepper) instead is subdued in taste. It’s a heat bomb of a chili – yet quite aromatic when cooking – and a staple in Surinamese cuisine. How hot is the Madame Jeanette pepper? At 125,000 to 325,000 Scoville heat units, the Madame Jeanette is not a chili to be trifled with lightly. That’s 15 to 130 times hotter than our jalapeño reference point, as mentioned, much like its habanero cousin. 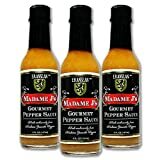 But unlike the habanero where the heat tends to concentrate in the back of the throat, the heat of the Madam Jeanette is an “all mouth” affair. 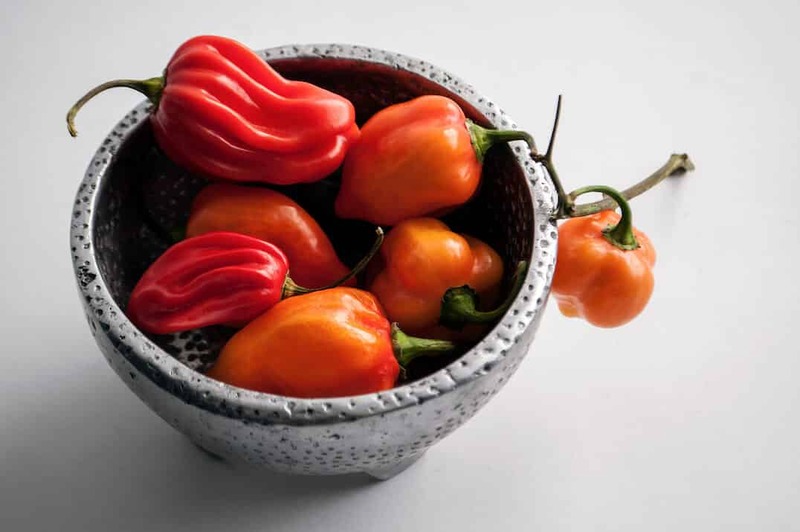 You feel the spiciness from the first bite all around, a lot like another habanero cousin – the Caribbean goat pepper. This gives the sense that the Madame Jeanette is hotter than its Scoville ratings even indicate. Madam Jeanette? Where does the name come from? It’s true, this chili has one of the more unique names on the pepper scale. It’s believed Madame Jeanette peppers were named after a famous Brazilian prostitute. But why is up for debate. Perhaps it was as simple as this chili being “scorching hot”. What do Madame Jeanette peppers look like? This chili varies in shape more than many other types of hot peppers. They sometimes look like a slightly elongated bell pepper, two to three inches in length. Then other times they are thin, curved, and slightly wrinkled like a habanero. Still other times, the Madame Jeanette has almost a pumpkin-like shape – similar to a goat pepper or Scotch bonnet – and they even can be seen with a scorpion-like tail. 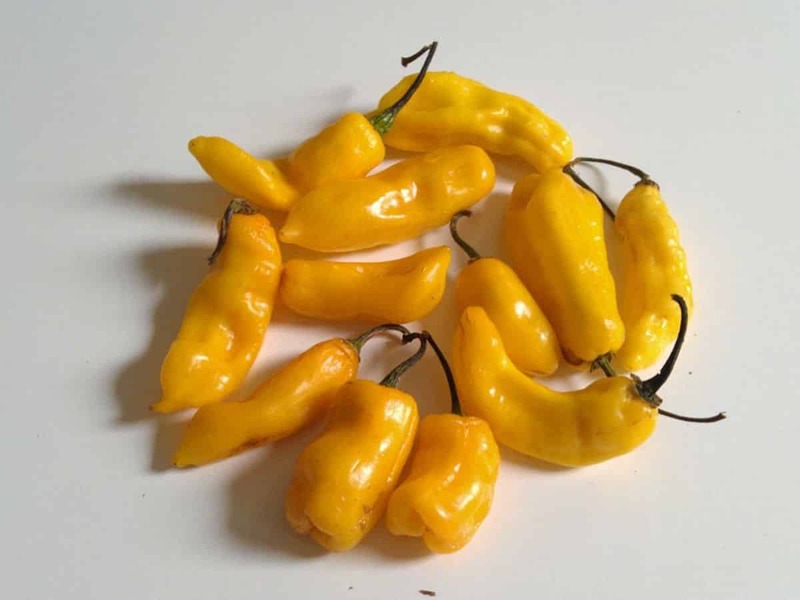 These chilies come in two colors: yellow (also called Suriname Yellow) and red (Suriname Red). Both varieties age from green to their named hue. What about the flavor? What do Madame Jeanette peppers taste like? Hot. When eaten fresh, that’s the legitimate taste take-away. The Madame Jeanette’s overall flavor isn’t as complex as many of its relatives. It’s rather subdued – so subdued that really the major “whole mouth” heat is the flavor experienced. Though cooking this chili does bring the flavors to life. It’s highly aromatic with a slight fruity sweetness. There are very light hints of pineapple and mango here. How do you use this pepper? The super subtle flavor with very high heat does make the Madame Jeanette a very versatile chili pepper for extreme cooking. 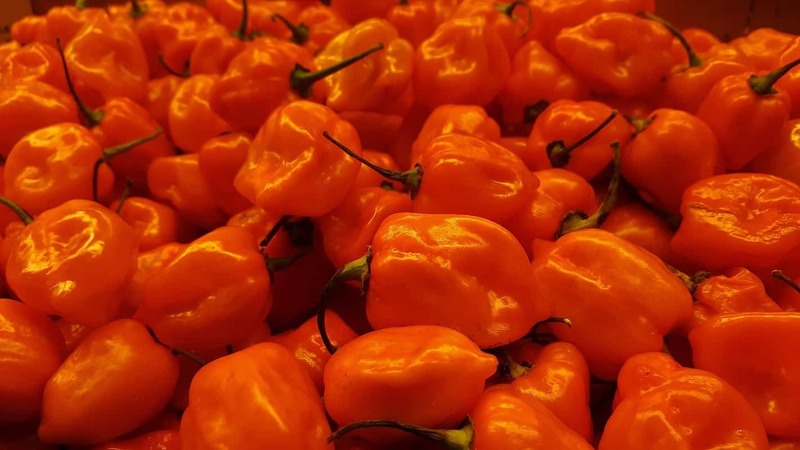 It’s a common ingredient in Surinamese and Antillean cuisine, and it works perfectly with salsas, hot sauces, enchiladas, and other savory dishes where there’s concern that a more savory chili may impact the flavor. It’s also quite common in Indian sambal (27% of the Suriname population is of Indian descent). Where can you buy Madame Jeanette peppers? They aren’t easy to find outside of South America. Even the seeds are difficult to source as these chilies – while prolific growers – don’t fair well outside of tropical climates (though indoor growing is possible). If you do come across the opportunity to enjoy a Madame Jeanette pepper – whether fresh, in sambal, or pureed in a sauce – take it. This is one of the more difficult gets on the pepper scale. Hey! Thanks for this amazing detail on Madame Jeanette chili pepper. Do you think it can grow in Africa? Thanks! And it should. Peppers respond well to hot climates. 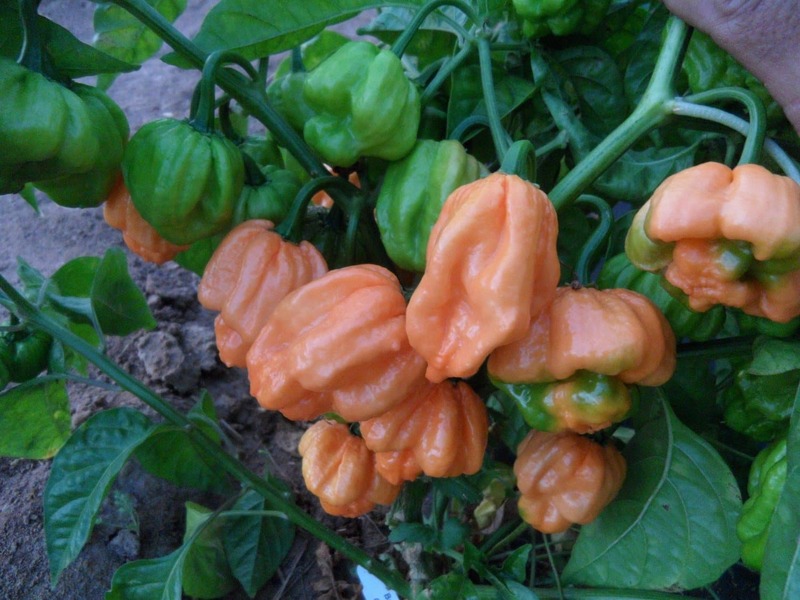 The fatalii pepper has roots in Africa and it’s a cousin by way of the habanero.